An Australian recording artist with cosmic style and a true poetic chronicle to be told in his music. Elliot Brown is not just a singer songwriter; he is an entrepreneur and CEO of his own EHB Music Label. Elliot Brown is raising the stakes as an independent musician in this vast yet ever changing music business climate. Moving from a small town in the north suburbs of Brisbane to the fast pace city life of Sydney's CBD, Elliot Brown aspired to take advantage of his inspirations during the move. Making the most of what the city has to offer, the songwriter is now developing his music and label at a rapid pace, working towards his dream career as a full-time singer songwriter. The move is what Elliot describes as a 'birthing experience for his music'. For the past five years, he has established himself in alternative industries in a long-term approach to set up a successful music career. Opting out of a Bachelor of Music degree, Elliot Brown instead took on a Nursing degree - a noble occupation which he describes as 'something in the mean time to gain life experiences, help people and provide both work and a good wage to help fund my music development.’ Now qualified, Elliot has the ability to simultaneously work as a theatre scrub nurse, and pursue his passion for pop and dance music. 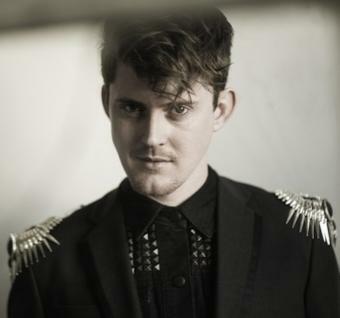 Elliot Brown set the bar high for pop musicians in late October 2013 with the debut release of his pop Album, Empyrean. Now, the 28 year old is raising the stakes again with his debut single Unforgettable Me set for release April 3rd, 2014. In December 2013 Elliot landed a licensing deal exclusively with Abercrombie & Fitch worldwide with two of his tracks 'All My Love' & 'Wondergirl' [from the debut album] gaining him exposure to an American following which is still growing today. In less than two years Elliot has been fine tuning his songwriting mastership and developing his sound gaining him attention from all corners of the world. With online sales growing, Elliot is sure to take the world by storm with his clever marketing strategies and stylistic well-rounded approach to his music. Elliot believes it's important an artist not only makes great music but develops the artistic landscape and acts as Executive Producer in all aspects of delivering the end musical product. Complete with dance floor pop hits to heart felt ballads, Elliot really connects with his audience and unveils his honesty and soul on record. Networking with like-minded artists from across the world, Elliot has delivered an album which Australia can be proud of.